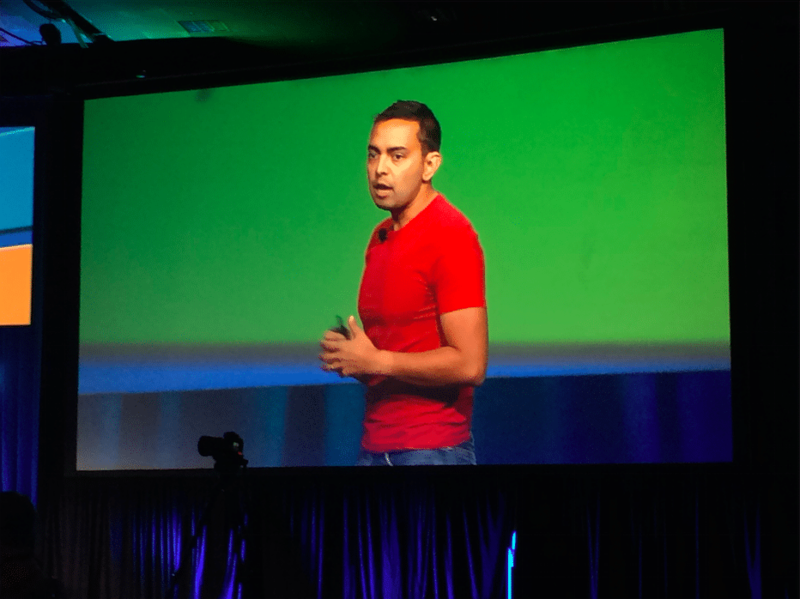 Home Blogging Call For Speakers Opens for NMX 2016! NMX is once again opening up our call for speakers. I could link to the form here and send you there now without explanation, but there are a few things we should go over first. Every year we see proposals from people who seem to be confused about NMX, and aren’t sure who our attendees, or we are about. First and foremost, our community is looking for passion, creativity, and speakers who will inspire them. They are not looking for people to tell them how to be, why they are, or why they should be influential. In order for us to find speakers who are a good fit for our community, and so you don’t waste hours perfecting a proposal that won’t be accepted, we’re going to be very clear about who we are and what we’re looking for in ideal speakers for NMX 2016. Important: I know this is a long post, but please read all before submitting a proposal. Helping content creators has always been our vision, and we haven’t strayed from this message since day one. NMX IS NOT a social media conference – Our attendees are very social media savvy, but NMX isn’t a conference to teach social media skills. NMX IS NOT a marketing conference – NMX attendees are always looking for new ways to share their content, but they’re not Internet marketers or social media marketers. NMX IS NOT a tech conference: Our attendees, speakers, and exhibitors are all very tech oriented. In fact, technology is the reason content creators have the freedom to share their passion like never before. Some of our speakers might teach about the tools and technology content creators need to take their content to the next level, but technology is not our primary focus. NMX IS NOT a business conference: This last one is a bit tricky. NMX attendees are first and foremost content creators. However, they are also small business owners, creating content for themselves or clients. Others are full or part time employees creating content for those businesses. So we definitely talk about best practices of growing your content focused business. We just aren’t a conference about business that includes content as one of your business tools. If you write, blog, podcast, produce videos, take photos or create any kind of content to share online, we are your conference. The smart people who attend NMX are looking for new ways to hone their craft and become more successful creating content online. NMX attendees want to learn to create better, monetize better, and share better. While NMx attendees are partly made up of professionals who are learning more about content creation to become better at what they do for their business, it’s important to know that most of the NMX community are in business for themselves or have that as their goal. NMX attendees create content on their own platforms, first and foremost, but also blog, podcast, and produce video for clients. It’s safe to say the average NMX attendee isn’t your typical 9 to 5-er. NMX is an influencer-free zone. The NMX community doesn’t care about Klout scores or follower counts. If you want to speak at NMX so you can hang out with “influencers” we’re not the right conference for you. NMX attendees check their egos at the door and are more impressed by creativity than people who are famous on the Internet. Now, if you want to collaborate with or be inspired by an awesome community of creative and smart people, who know how to do amazing things online, come join us in Las Vegas. Everyone is equal at NMX. What are we looking for in our speakers? One thing we pride ourselves on at NMX is introducing some new speakers to our attendees, so if you haven’t done this before, don’t be shy! Some of today’s biggest names in content creation had their first experience on stage at NMX back in the day. Don’t think about being “new” or “old.” It’s more important to be smart, articulate and inspirational. Are smart: Our ideal speaker knows his or her stuff. Please don’t apply to speak if you plan on winging it or copying bullet points from someone else’s blog post. Please don’t crowdsource ideas for your session two days before NMX. We notice and so do our attendees. Are passionate: If you love to create content and it shows in what you do, you’re a good candidate for speaking at NMX. Our ideal speaker shares that passion with others. Will check your ego at the door: We’re not interested in numbers or divas, because numbers can’t teach and divas don’t reach. The NMX podium isn’t a place for you to talk about how awesome you are. Our ideal speaker cares more about sharing knowledge than sharing trophies. We know you are probably a big deal on the internet, but so are most of our attendees. You are among peers, not fawning fans who will be awed by your presence. Will make plans to spend time with NMX attendees: Our ideal speakers love our conference and want to be a part of our community. They enjoy spending time with attendees in the NMX Lounge and also visit the Expo floor, come to the parties, red carpet events and other sessions. If you’re speaking at NMX, you’re probably also a content creator who can come away learning as much as you teach. We’re not saying all speakers MUST be present for all that’s going on, but if you’re pressed for time and only plan on speaking and running, we’d rather give the opportunity to someone who really wants to be there. WON’T Sell: Sales pitches are for the expo floor, not the podium. We actively tell our attendees to heckle people pitching from the stage -and then tell us about it. Believe me, they do. Our ideal NMX speakers are also NMX attendees and if they’re not selected to speak, they still want to attend. Our ideal NMX speakers geek out about content and content creation all the time, and are passionate about their chosen platforms. Our ideal speaker WANTS to be at NMX, not because he or she has something to sell, but because they can’t stand to be away and would like nothing more than to spend time with the online content creation community. Because NMX attendees are mostly in business for themselves, they’re the ones putting out the investment to attend – not their bosses. Our ideal speaker understands this and plans on giving everyone serious bang for his or her buck. NMX attendees don’t HAVE to come to our conference as part of their jobs. They WANT to come. Our ideal speakers make plans to attend parties, red carpet events, networking receptions and even visit other sessions because they know that it means a lot to attendees to spend time getting to know their favorite speakers. If that sounds a little too kumbaya to you, and you don’t think you can muster up that kind of enthusiasm for our conference, we’re probably not a good fit for your needs. Our ideal speakers promote their sessions not only because they want a full room (because that’s important!) but also because they want others to come to NMX and see why it’s such a great event. We do our best to promote each and every speaker at NMX on our newsletter, the blog, on Twitter, Facebook, Twitter chats and other channels. However, there’s only so much we can do. While we do our best to spread the word about you, our main job is to get people in the building. It’s also part of the speaker’s job is to help get them in the room. Our ideal speakers should be as enthusiastic about speaking at NMX as we are to have them and, thus, they don’t mind promoting their sessions to other content creators. We can promise you this, you won’t be the only great speaker talking at any given hour. You will be competing for attendees’ attention. The Hail Mary approach to session promotion – not sharing your session details with others and hoping people show up – doesn’t always work. It’s never a good idea to assume people will show up because you are famous on the Internet, that’s not what impresses NMX attendees. All sessions must be geared towards online content creators – Sessions must be of interest to bloggers, podcasters, and video creators. Sessions that go beyond the usual “101:” NMX attendees are already creating content. Sessions shouldn’t tell us why we need to do it – they should tell us how to do it better, smarter, and more profitable. Case studies, data, and trends as they relate to content creation: What are the things we need to know to be successful now and in the future? Share proof and statistics. Tools, Tips, Techniques: How do content creators make the process easier, brighter, and clearer? Monetization strategies and concepts – What are the different ways online content creators can monetize their own platforms for a full time income? Self-publishing: The NMX community is made up of aspiring authors who want to succeed on their own platforms. Something we don’t see anywhere else: We’ll give top consideration to sessions that are unique, and that we don’t see at every other conference. Teach us something new. As content creators, the NMX community already knows why it’s important to blog, podcast, and produce video. They also know the importance of using social media. With that in mind, basic “why you need to blog” or “why podcasters should use Twitter” presentations aren’t helpful because our community is already there. What they really want to know how to do is to take their content to the next level. For example, photo, video and podcasting editing tips, advanced hacks for blogging, and ways all content creators can earn good money doing what they love most are welcome topics. Sessions that aren’t geared towards online content creators: We’re not looking for sessions about how to drive Facebook engagement on a brand page, or how to up one’s Twitter follower count. That’s better geared towards a social media marketing conference, which we’re not. Session featuring “secrets” that aren’t really secret If it comes up on a Google search, it’s not secret. If others have blogged about it, shared webinars about it, sold ebooks on it, and, well, know about it, it’s not a secret. If you’re promising secrets, or “surefire strategies” be sure to back them up in your proposal, because that’s something we’d really like to see. Sessions must deliver what they promise. Sessions that are all jargon and no substance: Please don’t use exciting session titles that promise the world, or are riddled with marketing buzzwords and jargon. The NMX community doesn’t want to be pitched to – they want to advance their techniques as shared by someone who does it well – in plain English. Sessions that don’t match the session headline and description: Nothing frustrates the NMX community more than showing up for a session only to find out the presentation isn’t anything like what was promised in the session description. Sessions that fizzle out after 15 minutes: Please be prepared to speak for 30 – 45 minutes depending on your session time, with 15 minutes left for Q&A. Sales pitches: Pitching is for booths. Sessions that tell us why we need to do something we’re already doing. NMX attendees are already online. They already know why they need to blog, podcast, produce video, tweet, or use Pinterest. Sessions about you and your success that no one else can relate to: If you want to teach how you grew your podcast to 5 million listeners, you should teach exactly that. We’re not looking for a play by play of your highlight reel. If attendees can’t relate, you’ll lose them. Remember, the session isn’t about you – it’s to teach attendees how to get from point A to point B. Sessions about growing follower counts or becoming influential: Just, no. Sessions you see at every other conference:. The biggest consideration is given to those who present unique ideas. Please don’t submit a proposal for a session that you’ve presented at many other conferences. I know this is a lot to think about. However, every year we receive hundreds of proposals. Many of them are amazing but due to time and space restraints we end up rejecting most of them. We have to make some very hard choices and review a ton of great ideas. When that process gets clogged up with people who obviously don’t get us, it makes it harder for everyone. Our ideal NMX speakers aren’t gurus, mavens, rockstars, coaches, influencers, ninjas, or self-proclaimed experts. NMX speakers are passionate about content creation, people, and the conference itself. If this is you, we can’t wait to see your proposal. Deadline to accept proposals is August 31, 2015. Think you’re a good fit for NMX? Click here to submit your proposal!